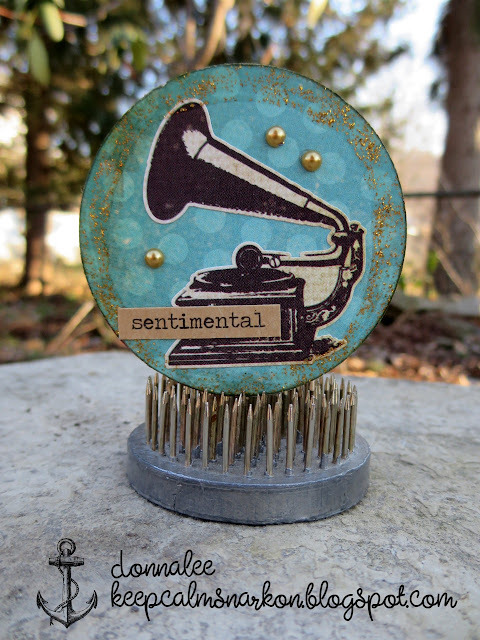 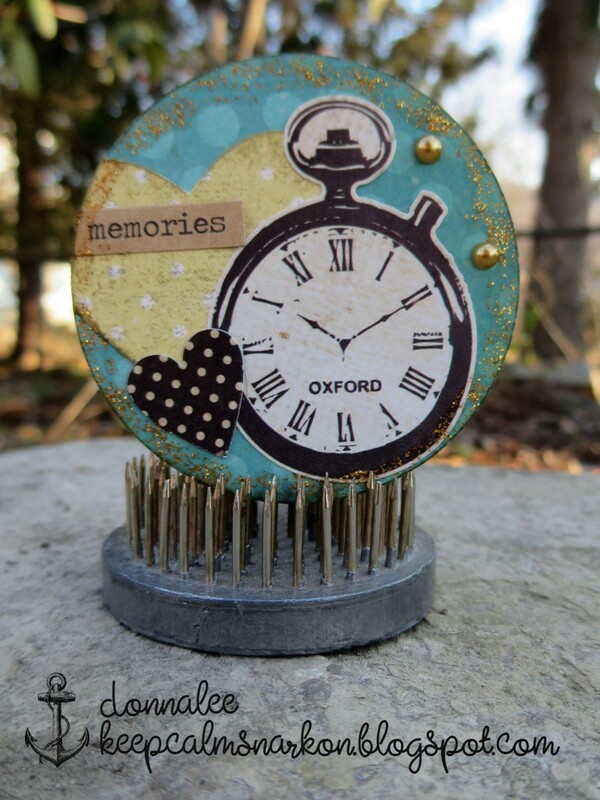 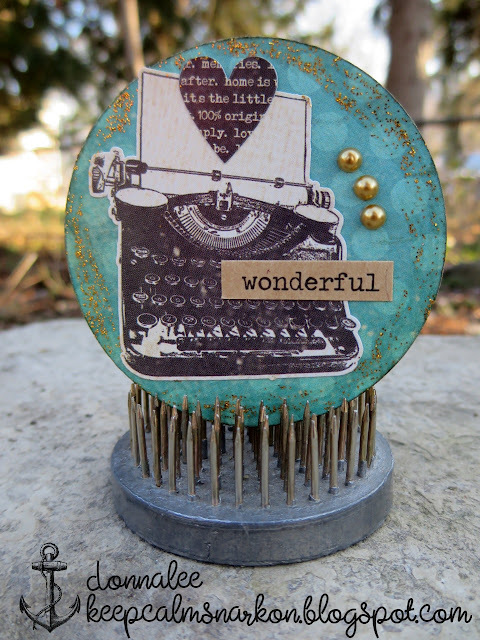 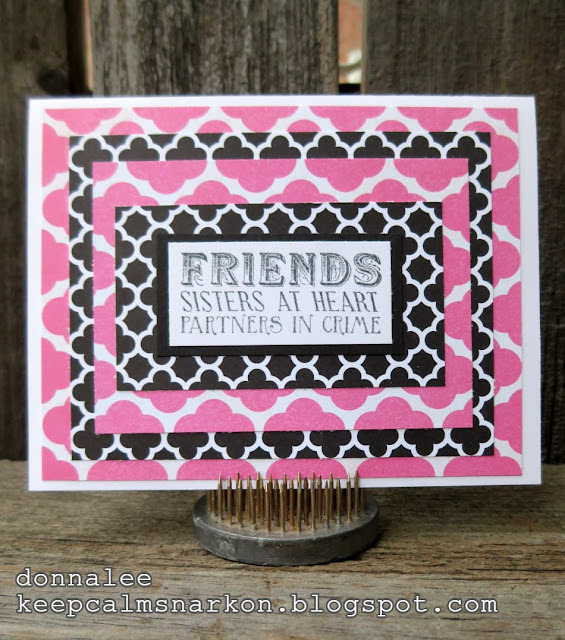 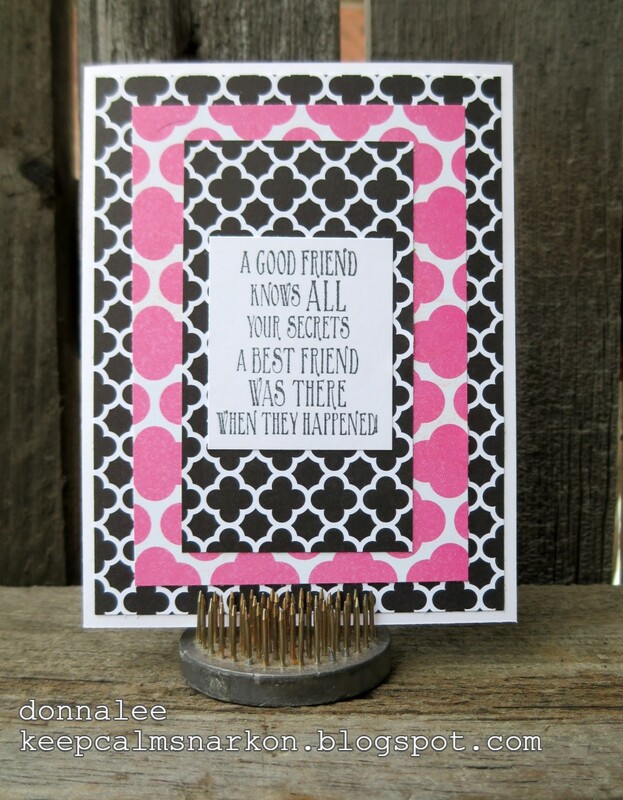 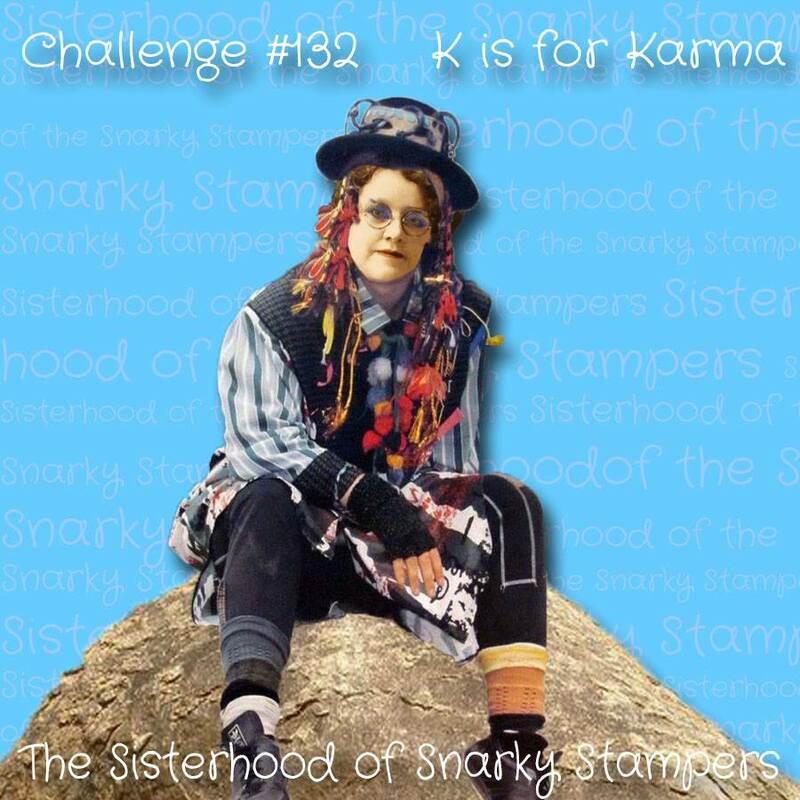 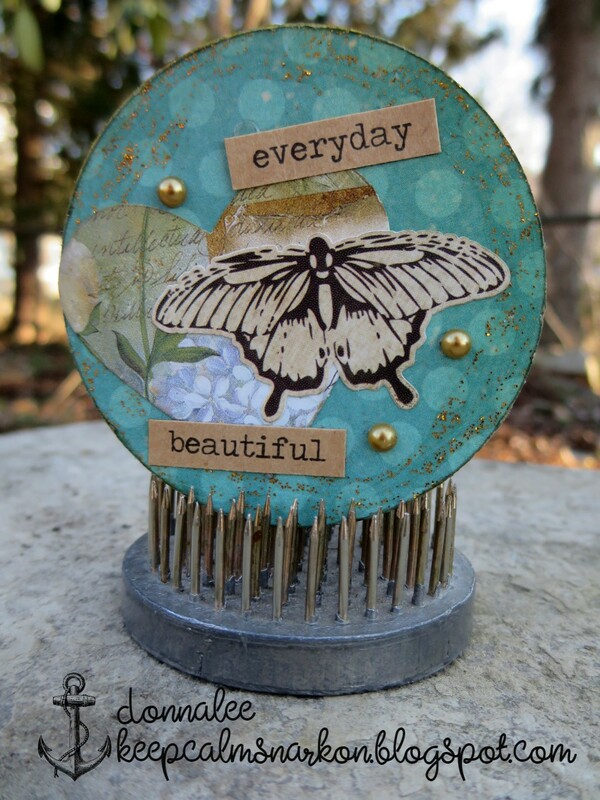 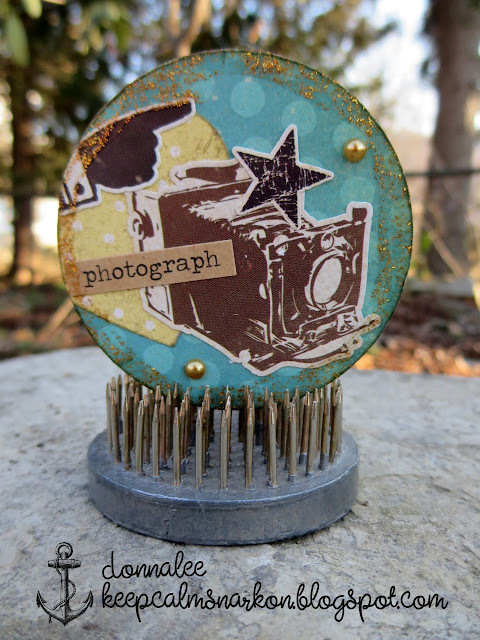 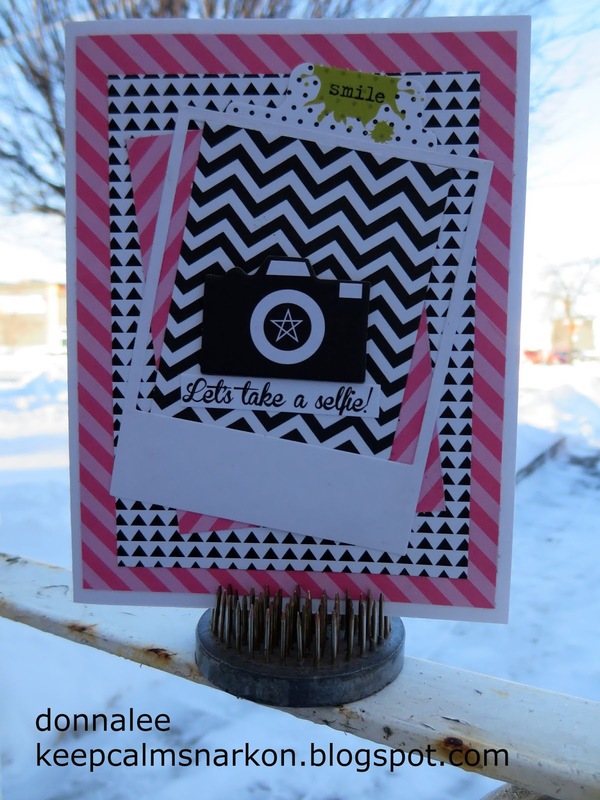 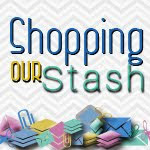 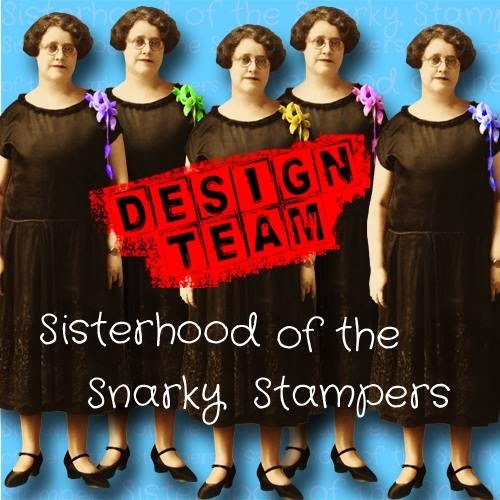 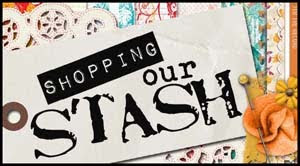 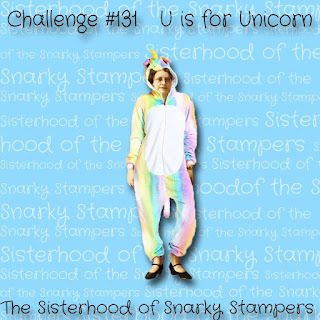 Thanks for stopping by to check out the latest challenge from Edna & the sisterhood of snarky stampers!! 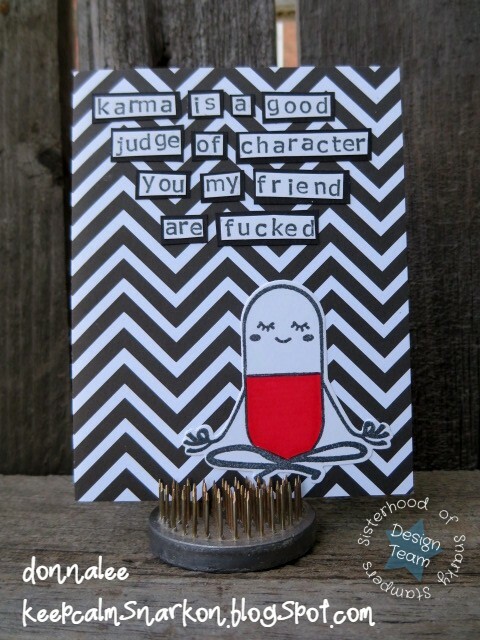 Cute and snarky is one of my all time favourite crafty combos! 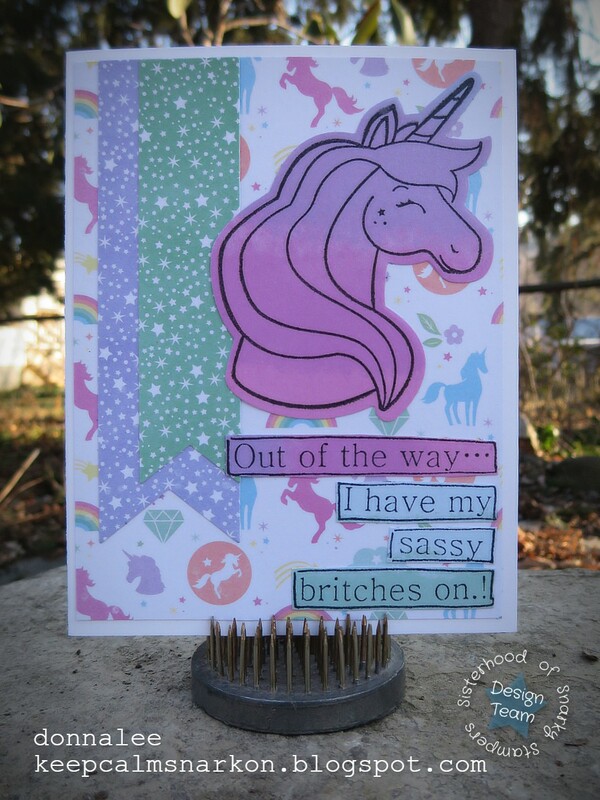 This card will be for a certain co-worker of mine who has a birthday coming up. 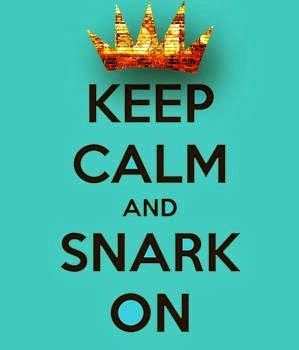 She appreciates a good snarky card!